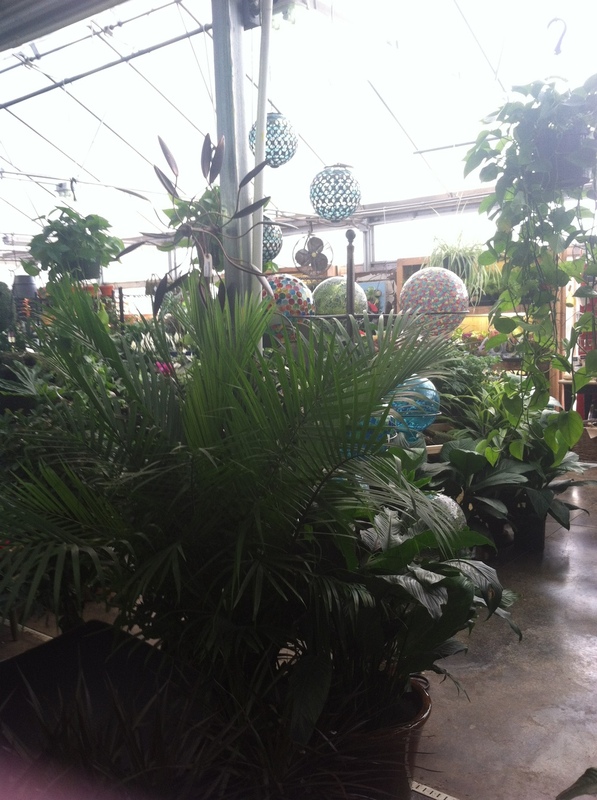 Summer is winding down, and that means it’s time to bring your outdoor jungle inside! Native to tropical climates, African violets make perfect houseplants. These violets can be found in colors ranging from white, pink and mauve to blue, lavender and deep violet. With slightly furry, deep green leaves and brightly colored blooms, these small plants will look great in any windowsill! Cacti and succulents are excellent houseplants that add character to any room. Firstly, understand that the words cactus and succulent are general terms that refer to a wide variety of plants. Anything called a “cactus” belongs to a certain family of plants but may be one of many different species. “Succulent” is not a family of plants, but refers to any plant with fleshy parts for storing moisture. A wide range of plants from many different parts of the world falls into the succulent category. Cacti are defined as succulents and what sets them apart as their own sub-group within that classification is that they produce growths (areoles) such as spines. These spines help defend the plant against being eaten, as well as helping to reduce water loss by diminishing the air flow close to the cacti stem and offering a little shade. What sets cacti and succulents apart is their ability to exist on low amounts of moisture. Both of these categories of plants are adept at conserving water and nutrients. Keeping indoor cacti or succulents require a special kind of care which is different from most other houseplants. These plants are tough and can stand extreme conditions with little water, but in order to thrive, they need regular care and attention. During their growth season (which is usually spring to fall), cacti and succulents will appreciate regular watering and fertilizing. Check out the tag on your individual plants to identify the specific needs of that species and ensure you successfully care for the plant. These plants do enjoy a lot of sunlight and whether they like direct or indirect light will depend on the variety, so make sure you have the right spot to meet its needs. You can always supplement light needs with a grow light if you don’t have enough daylight in your house. Cacti and succulents like a well-draining soil and should be repotted every year or two, as they outgrow their current pots and to give them fresh soil. 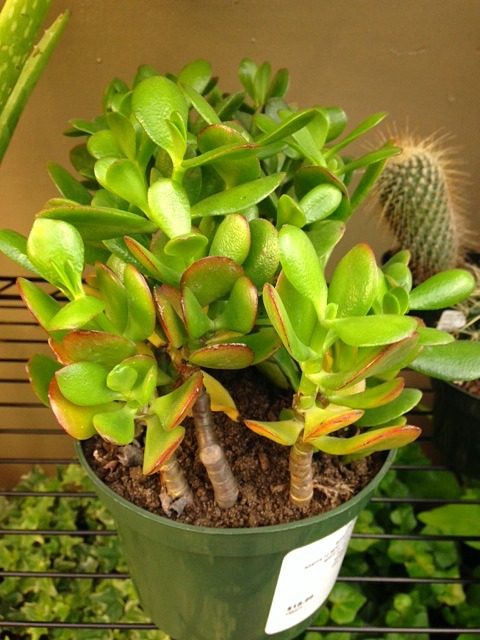 We have a selection of cacti and succulents, so stop in and check them out! 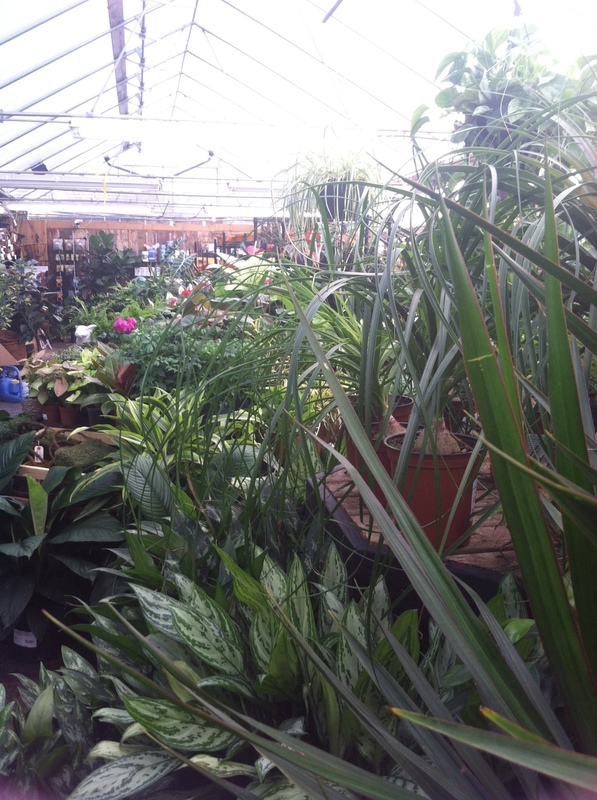 They may be the perfect plants to supplement your indoor houseplant collection and our friendly staff will be glad to assist you in understanding their care! Ferns are a lacy, whimsical plant that add visual interest to any room. Their beautiful delicate appearance and easy needs make them an ideal choice to grow indoors. They gained popularity as indoor plants in the Victorian Era and the word “fern” comes from an Anglo-Saxon word (fearn) which means feather. These plants happen to be one of the only plants that do not produce flowers. They produce spores to reproduce. Ferns are native to the tropics and so enjoy high humidity, making them a good option for a bathroom. You can also mist them daily with a spray bottle, and if the humidity levels are not right, you may notice the tips of the fronds turning brown or dying. Another option to increase moisture levels around ferns is to double pot them. Place the potted fern in a larger container that is lined with moist sphagnum moss and be sure to keep the moss moist. Depending on the type, ferns can have a variety of sunlight needs. Some like indirect sunlight, some will do fine with dappled or morning sun, and some can handle full sun. Check the tags on your chosen variety to ensure proper conditions. Their soil should stay evenly moist—not too wet and not too dry. When overwatered, their leaves will turn yellow and wilt. Water slowly and evenly until water runs out the bottom of the pot into the saucer. Ferns like light applications of houseplant fertilizer to stay happy and healthy. Ferns should be repotted every couple years. If your fern starts looking lackluster, rejuvenate it with some outdoor time in the warm months. Place the pot in a shady spot so it can experience the fresh air and rain. 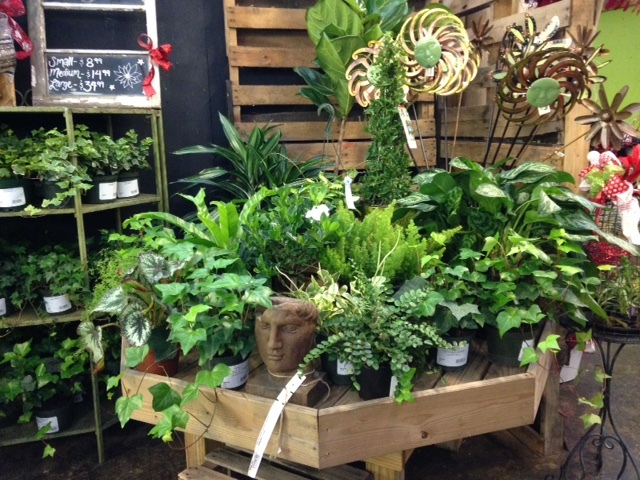 We currently have an incredible selection of ferns so if you want to give this beautiful plant a try, come see us! 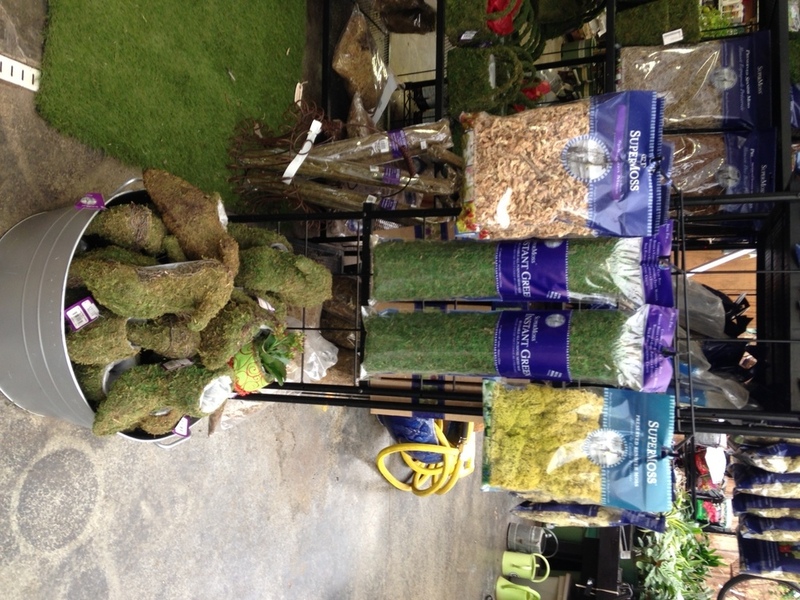 Our friendly associates can get you set up with everything you need to make your indoor fern a success. Adding decorations and character to your houseplants pots can be fun and rewarding. We have a number of items that can be used to give your pots a unique look, check out some of the options we have: Moss: using moss in potted plants can give them a natural look. 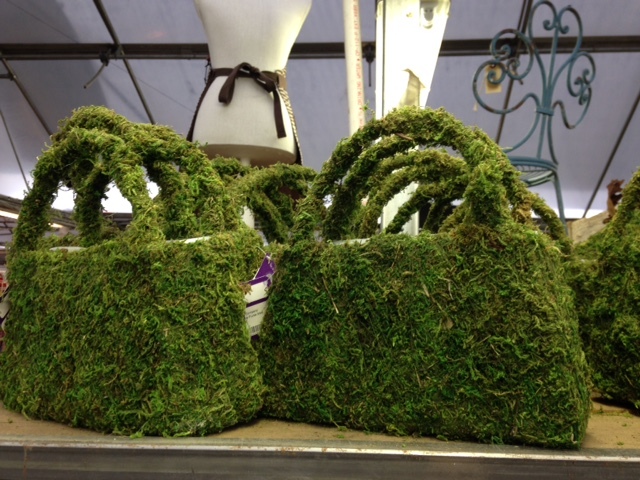 You can use moss across the top of plants to add a bit more interest than just the soil or mulch can provide. Using moss to decorate houseplants doesn’t have to mean simply laying it on the soil; there are also moss shapes available to draw attention. 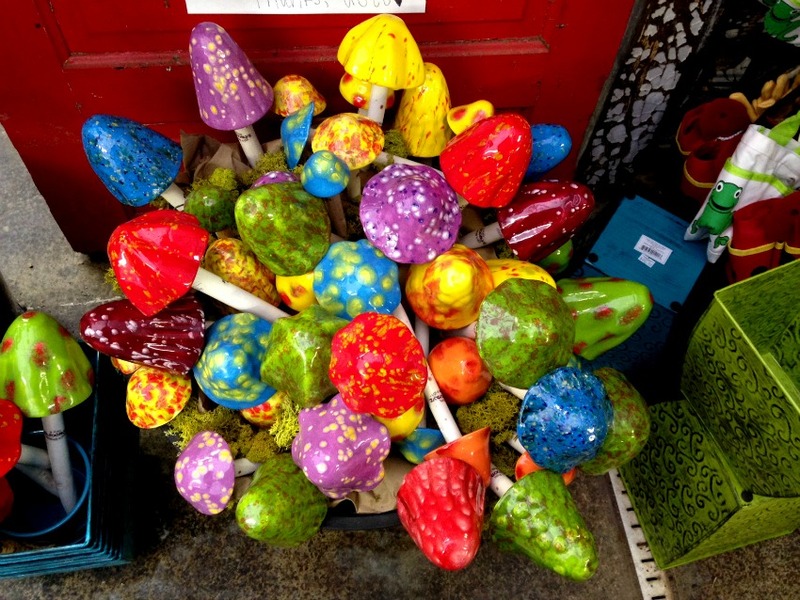 Decorations: we have a variety of fun items to be used in pots, such as these colorful glass mushrooms. 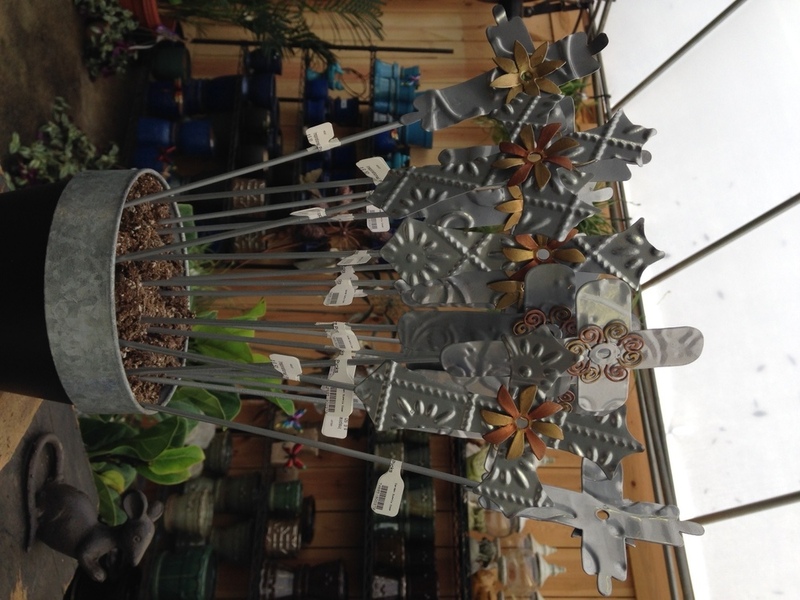 This type of item can add color and a feel of whimsy to any plant. 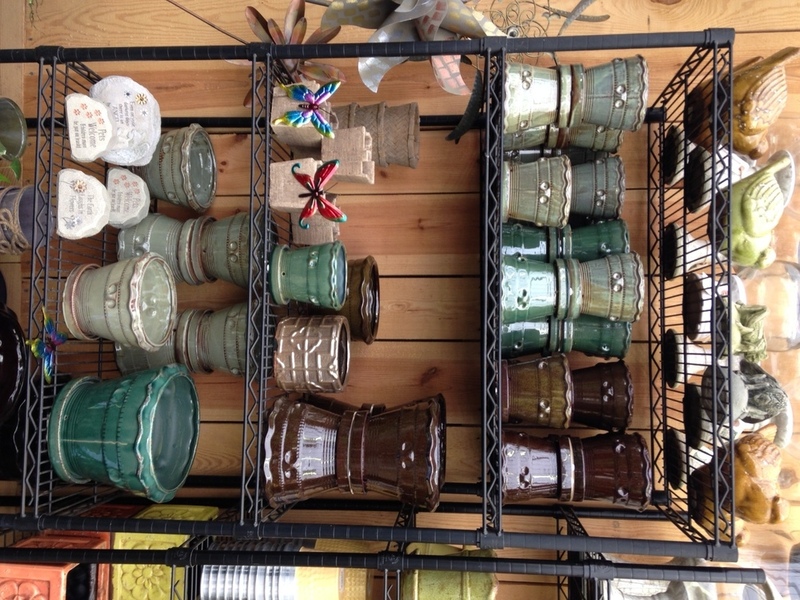 We have other items as well, such as signs and other types of decorative objects. 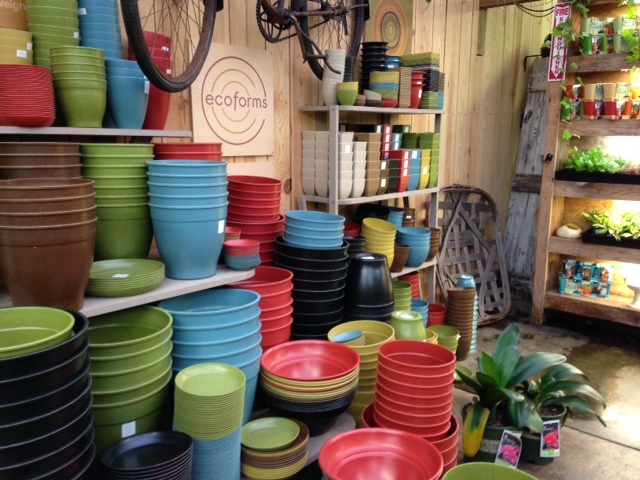 Pots: don’t pass up the chance to make a statement with your houseplant’s pot. The container offers an opportunity to really dress up your plant. 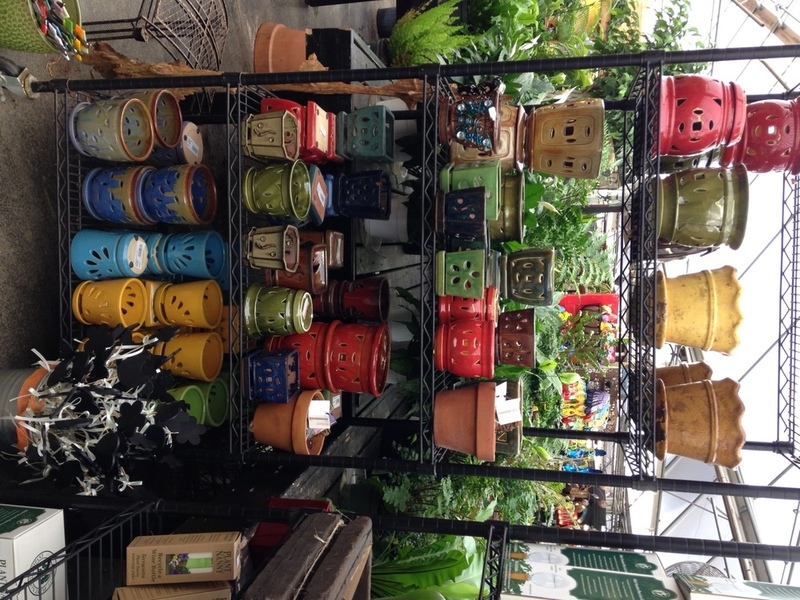 Make sure to choose a pot that you get as much enjoyment out of as the plant itself! With all these options and more, come see us and unleash your creativity to give your houseplants a distinctive and extraordinary look!